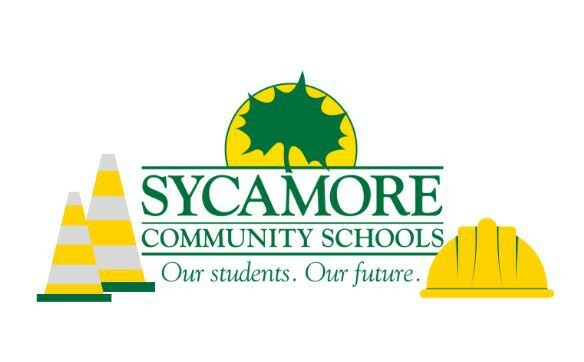 The Sycamore Community Schools is working to address our facility needs and enhance educational opportunities while being responsive to community preference and within the budget shared during our Concept Testing sessions. The results of our Concept Testing survey can be seen here. You can also click here to view the presentation given during the March 27 Board of Education meeting regarding the results. The Board of Education will vote to move forward with a Master Facility Plan option at the April 17 Board meeting at 7:00 p.m. at E.H. Greene Intermediate. Sycamore Community Schools is proud to announce Sycamore Junior High teacher Pete Tanaka as the district’s 2018-2019 Celebrate Excellence Educator of the Year. 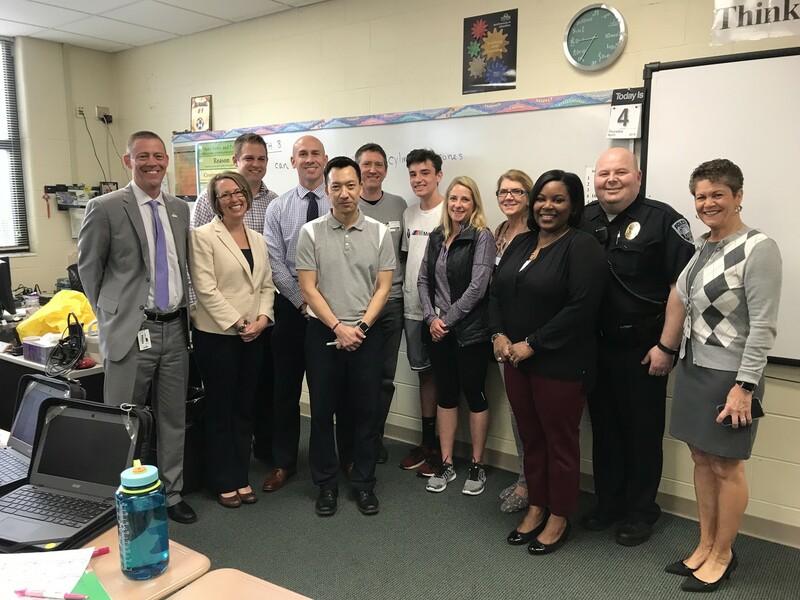 Mr. Tanaka was selected out of 126 nominations submitted by parents, students, and colleagues. Mr. Tanaka’s service to Sycamore students and families spans more than two decades. Learn more about this year's Educator of the Year. Click here to learn more about why he was selected and how he will be honored. 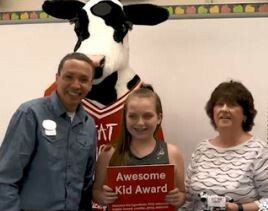 E.H. Greene Sixth Grader Lizzie Barans was named the Local 12/Chick-Fil-A Awesome Kid of the Week for going above and beyond to help other classmates. Learn more about why she was selected. The Rotary Club of Northeast Cincinnati named Sycamore High School junior Caroline Skwara its Student of the Month. 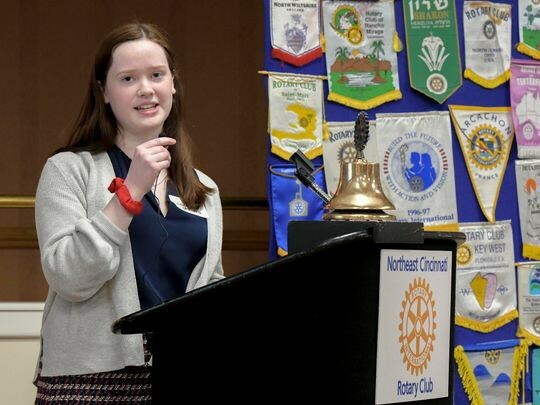 Learn more about how she is achieving in and out of the classroom. 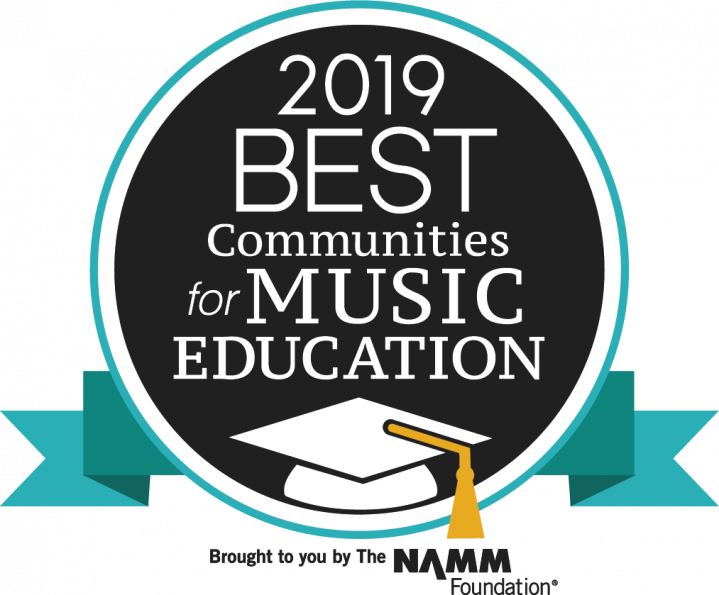 Sycamore Schools is proud to be named one of the 2019 Best Communities for Music Education by the NAMM Foundation. 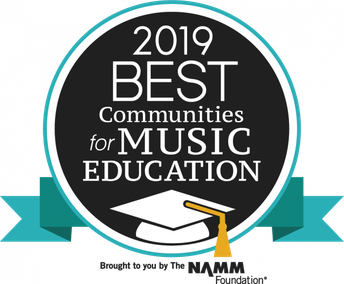 This is the 10th consecutive year that the district has been recognized for its outstanding music programming. 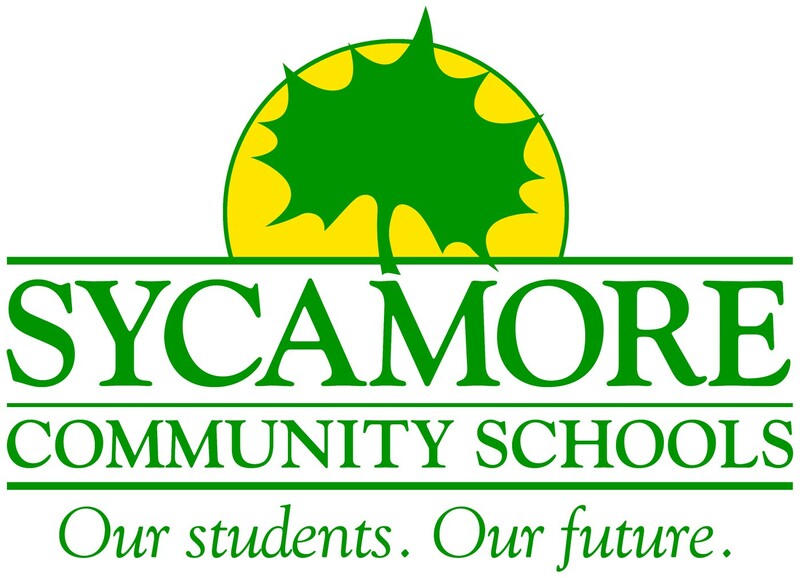 Sycamore Community Schools is excited to welcome two new administrators for the 2019-2020 school year. The Board of Education approved Dr. Amy Debelak as the new principal of Montgomery Elementary School and Mr. Andreqw King as the new assistant principal of Sycamore Junior High School. Learn more about the newest additions to the Sycamore family. 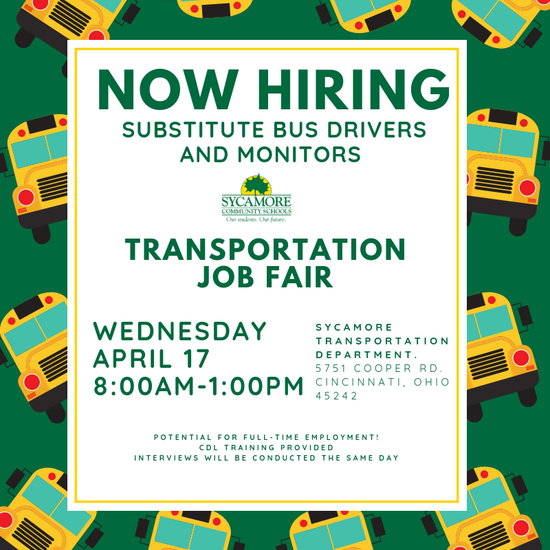 Sycamore Community Schools continues to engage with students, families, and staff about the growing social and emotional needs of our students and staff. The addition of our school-based therapists through Cincinnati Children’s Hospital was our first step in supporting those student needs. We are proud to announce that beginning in the 2019-2020 school year, every school will be staffed with a school-based therapist. Having a mental health partner allows access to treatment for the students who need it, with greater accessibility. District administrators have initiated the process of developing a comprehensive strategic plan to identify the mental health needs of our students, families, and staff. 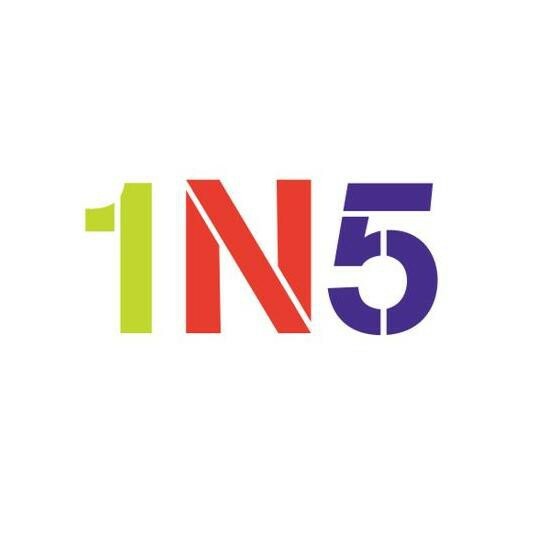 We have engaged with 1N5, a local nonprofit organization is committed to stopping the stigma and starting the conversation by increasing awareness and education about mental health. Students in grades 7-12 and families will receive a voluntary survey developed by 1N5 and the district to drive our needs assessment during the week of April 22. While your participation is not mandatory, your honest and open feedback will be crucial in helping us move forward with the proper plans. All of your responses will be kept confidential. Staff will also receive a similar voluntary survey during the week of April 22. 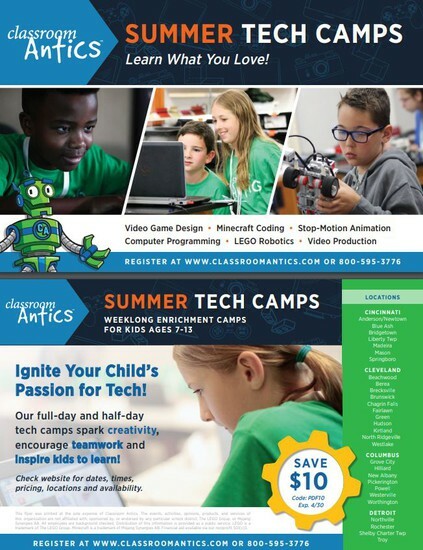 Look for more information in an upcoming email from the district. 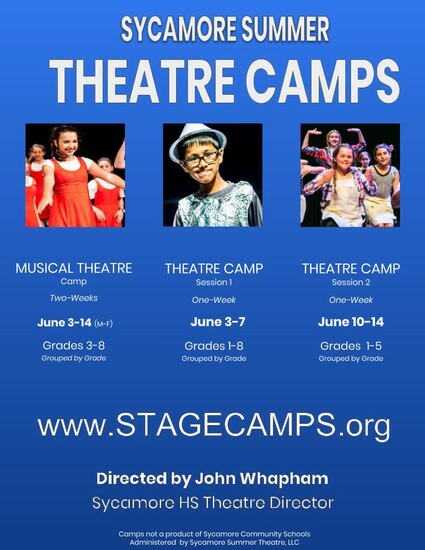 Save your spot for this unique opportunity! This event is FREE! We need to get an idea of how many people will be attending. Please CLICK HERE and complete the sign up genius so we can plan appropriately. Keeping our children safe in this digital age is a concern we all face as parents, especially with the easy access to screens that our children have. In this 3-week series for parents, brought to you by the PTO, you will learn cutting edge information and tools that can be immediately applied at home. 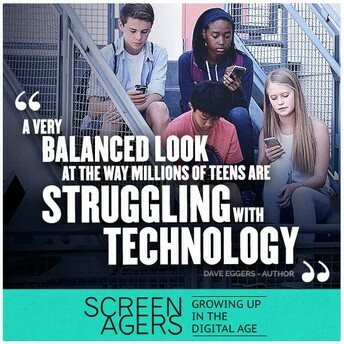 Tuesday, April 9 (6:30-8:00 pm) : author and speaker Steve Smith will talk about how we have become a distracted society, how social media and video games can impact mental health, and more. Click HERE to learn more. 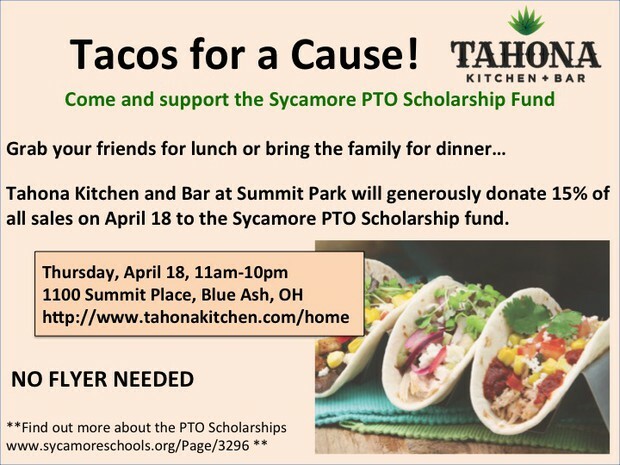 Tuesday, April 16 (6:30-7:30 pm) : Sycamore Tech Dept. will lead a training on tools parents can use to help manage screen times and Chromebook safety. PLEASE RSVP so we are prepared for your attendance. We hope you can attend all 3 impactful sessions! 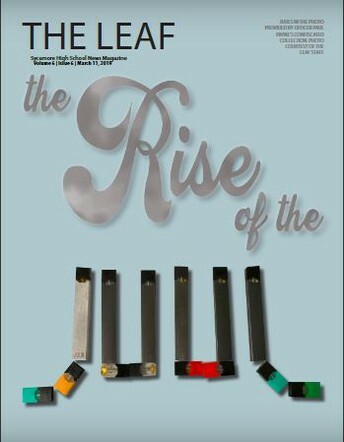 The Leaf: "The Rise of the Juul"
The March 2019 issue of the Sycamore Leaf focused on juuling both at Sycamore High School and as a general trend amongst teens. Juuling has undeniably become a serious and widespread threat to the health of Sycamore students, and therefore our community as a whole. Written and assembled by students and for students, our coverage of Juuling provides not only vital and pertinent information but does so in the frame of mind of those it affects most: teens. After reading this issue, we encourage you to take a look at the rest of our award-winning website to learn more about what teens in your community are doing, thinking, and discussing. 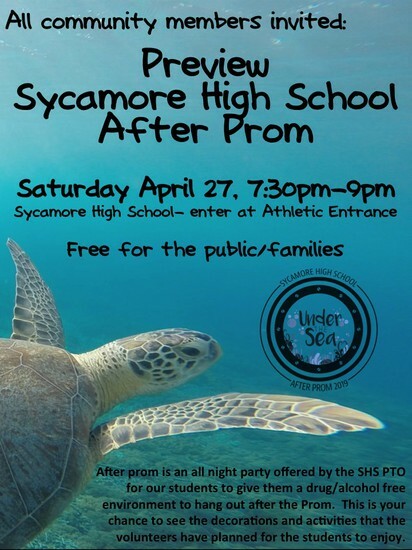 Feel free to send feedback via email at shsstudentvoice@gmail.com. 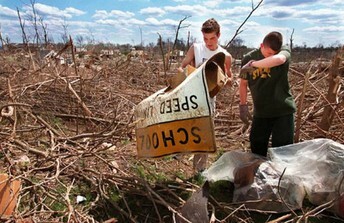 The Sycamore Family will never forget April 9, 1999, when an F3/F4 tornado touched down in the predawn hours, causing damages to homes and property. Four people lost their lives. On Tuesday, April 9, the city of Montgomery plans to honor the memories of those that tragically passed and the bravery of the first responders and community. Join us on April 9 at 9:00 a.m. at the Sycamore High School Tornado Memorial (near the practice fields) to mark the 20th anniversary of this tragedy. As another sign of respect and admiration for the community, Montgomery city staff created a podcast documenting this tragedy and containing interviews with former City officials, current City employees, residents, family members of those taken that day, and former WCPO Chief Meteorologist Pete Delkus. The podcast “Weathering the Storm” is available here. A trailer for the podcast is already available. The first episode will appear on April 9, 2019. Listeners can also find it on iTunes Podcasts, Google Podcasts, and Stitcher. 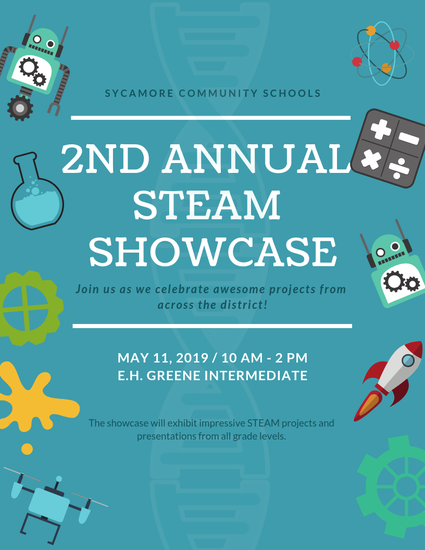 Synnovation Lab students will be presenting their year-long project-based learning projects at the 2nd Annual STEAM Showcase. Each student has been working all school year on a project that answers the question, "How can I solve a problem for myself, my school, my community, or globally?" The projects range from addressing traffic problems on Cornell Road, changing school start times, to expediating checkout at Kroger, and designing kinetically charged earbuds. They are seeking community members to converse with them about their project, ask questions, and ultimately evaluate their work. 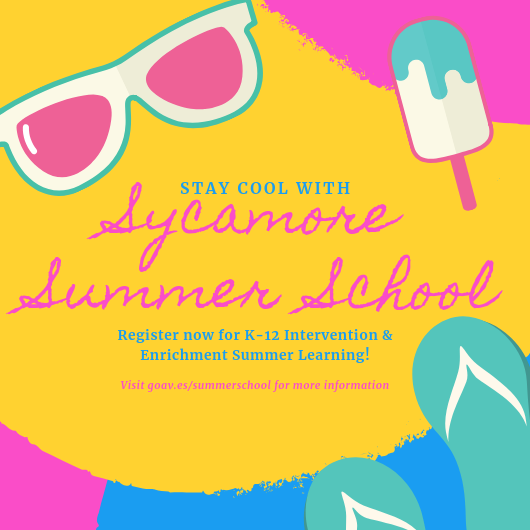 If you are interested, please contact warrena@sycamoreschools.org. 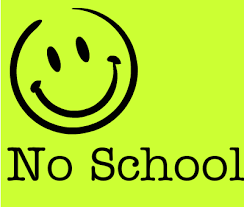 There is NO SCHOOL on Friday, April 19 for Spring Vacation Day and Monday, April 22 for Professional Development Day. 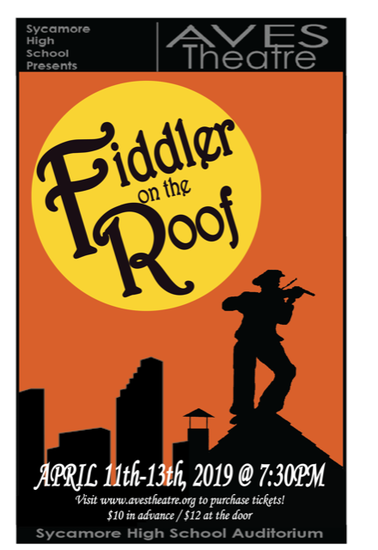 We Need Volunteers On April 22! 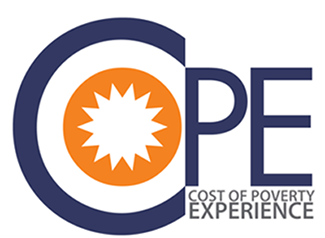 The certified staff of Sycamore Community Schools will be participating in a professional learning activity called “Cost of Poverty Experience (COPE)” led by facilitators from Think Tank Inc. on April 22. The purpose of the activity is to engage our staff in authentic, empathy-building experiences to better understand the daily struggles some of our families may experience as a result of economic fatigue. 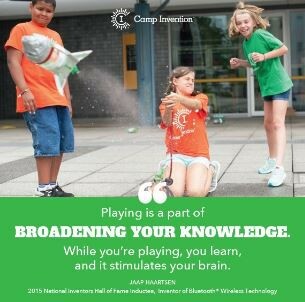 Each session will include 120 staff participants. We are in need of 20 volunteers (COPE Resource Leaders) for each session to “role play” various community and business members. As a COPE Resource Leader, you will be given your role by the COPE facilitator during training. Training will be provided in the first hour of the volunteer shift. The time commitment will be approximately 3-1/2 hours. Unfortunately, we will not be able to provide babysitting services on this day, therefore volunteers are asked not to bring their children along. 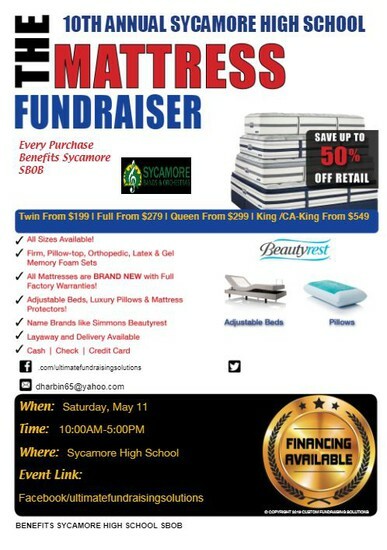 For the morning session at Sycamore High School, click here. 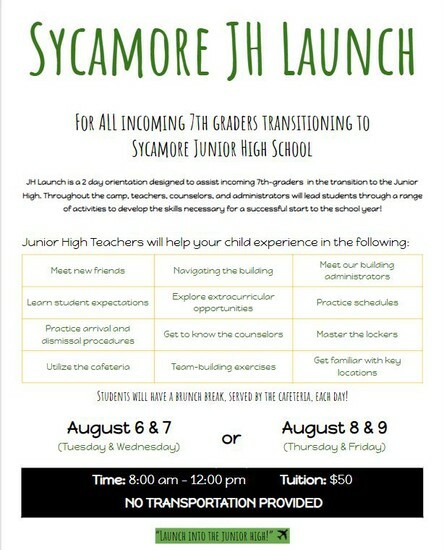 For the morning session at the Sycamore Junior High School, click here. For the afternoon session at Maple Dale Elementary, click here. 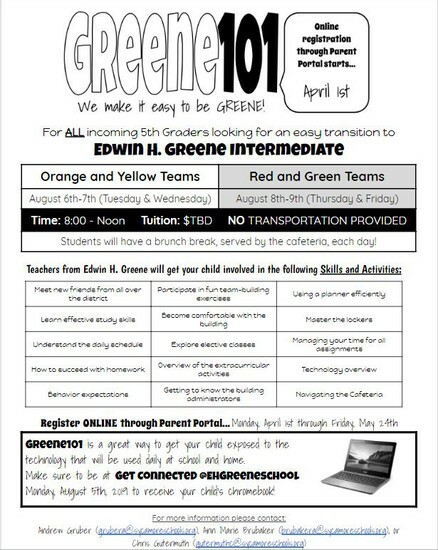 For the afternoon session at Greene Elementary, click here. Be sure to follow Sycamore Schools on Facebook, Twitter, Instagram, and YouTube!